album and concert tour while his PBS special continues to power stations’ pledge drives. Juno Award winner and 11-time nominee Cook composed and produced “One World,” an aural journey showcasing the Paris-born, Toronto-reared artist’s cultured cornucopia of rumba, flamenco, jazz, gypsy, pop and classical guitar parlance, rife with runs and riffs demonstrating dazzlingly dexterity. Strumming and plucking mystic melodies, evocative harmonies and contemplative meditations, Cook places his guitar on “One World” amidst carefully-crafted instrumental beds that just may be the most experimental of his career. He incorporated more modern technology to create interesting beats and inventive sounds, placing them side by side with traditional instruments that have been around for centuries. Cook is not afraid to admit that some of the brazen alchemy came at the curious hands of his seven-year-old son’s exuberant button pushing. 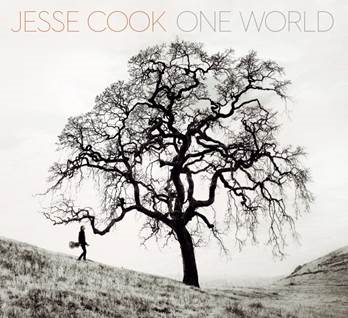 Cook will support “One World” in the States with multiple concert treks, the first of which takes place this autumn followed by a second swing early next year and a third leg slated for spring 2016. His popularity as a captivating performer has multiplied exponentially in recent years bolstered by a couple of PBS concert specials, including “Jesse Cook: Live at the Bathurst Theatre,” which is currently airing on television stations across the nation as part of pledge drives. For more information, please visit www.JesseCook.com.